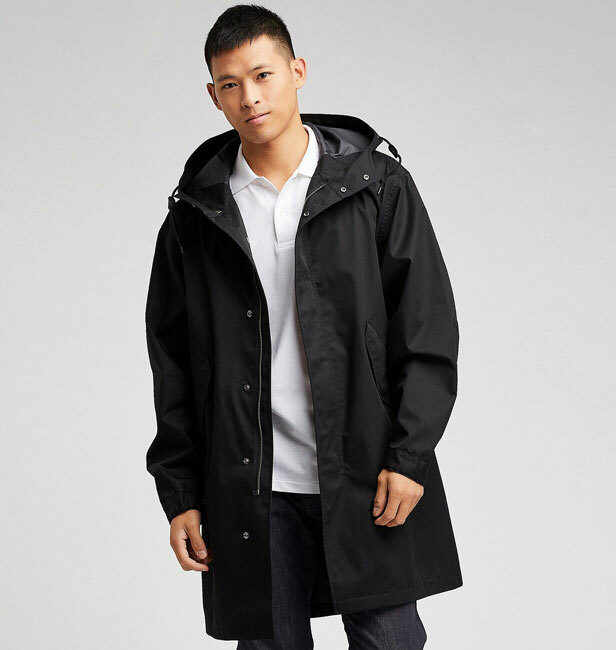 A popular one annually, the Blocktech Fishtail Parka returns to Uniqlo and this time in extra sizes. Thankfully, the design hasn’t changed a great deal, with a choice of black or olive green to choose from too. 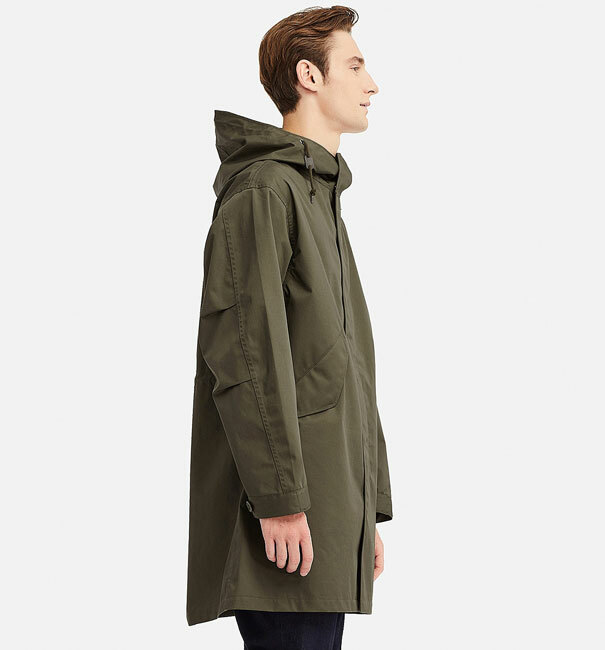 The olive green works best for me, but whatever takes your fancy personally. 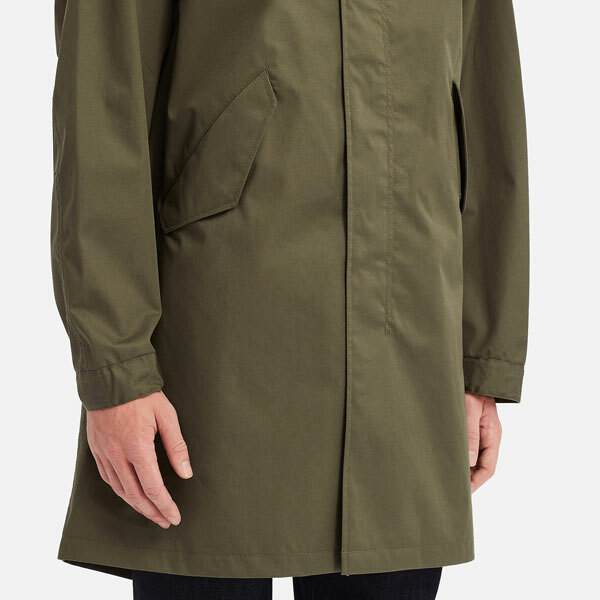 As for that design, well it’s another take on the military classic. 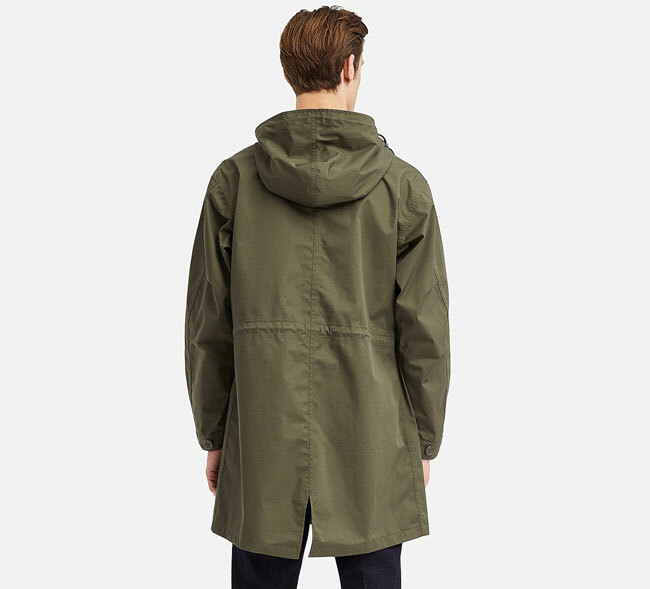 Yes, you can browse Google and find something in the military surplus line if that’s what you want – or you can shop ‘new’ at Uniqlo and get something well made and able to withstand the elements for a reasonable price. But as ever, the warning. the sizes are plentiful now, but they will not be around forever. At least, not the popular sizes anyway. So if you want to get some wear out of this for the rest of winter and into spring, jump on it now. 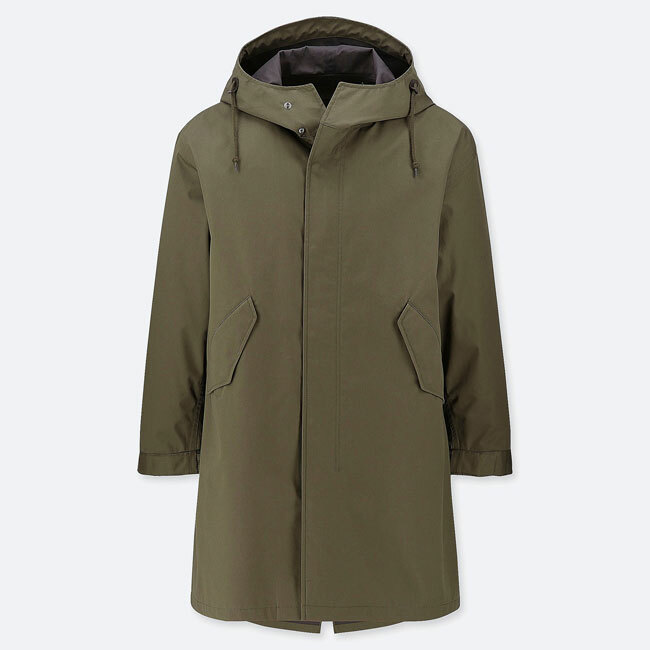 Each of the coats is a modern reinterpretation of the fishtail parka rather than a recreation of the original, with this one offering a drawstring cord with a two-hole toggle and ‘faithful’ vintage details include action pleats on the fishtail and sleeves, plus angled pockets. 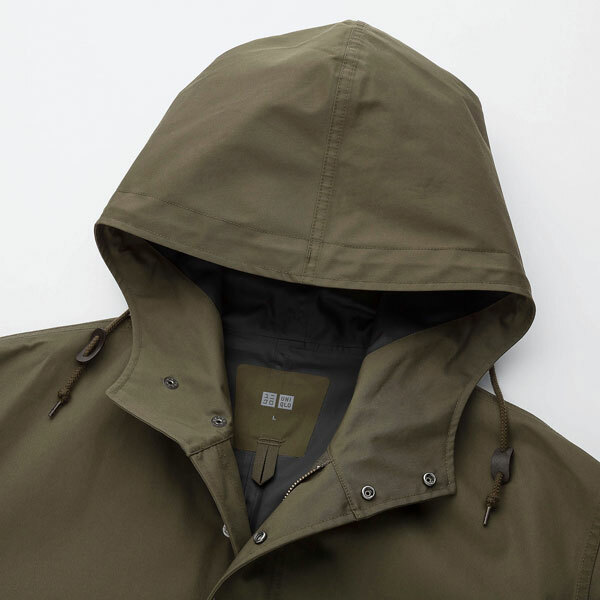 It also has a cotton-polyester blend fabric construction, making it lighter than the vintage number and a loose fit, so it’s ideal for wearing over your other clobber. As I said, all the sizes right now, which is from XS through to 3XL, but don’t hang about if you want one. £89.90 is a very reasonable price.